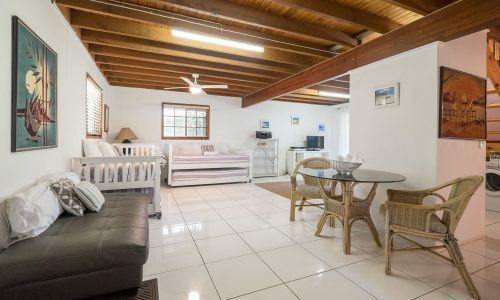 Large family holiday house – great location! 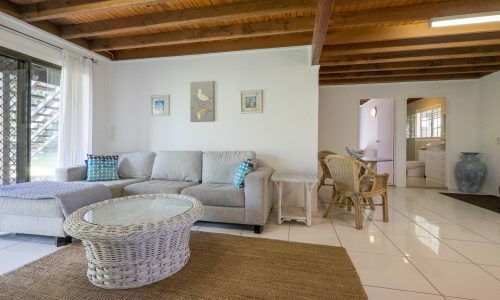 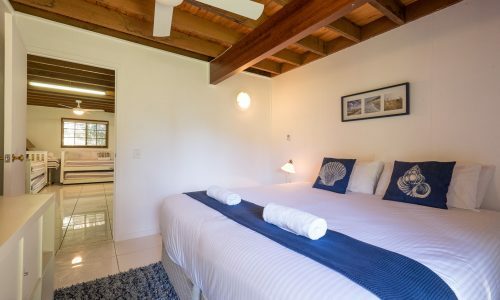 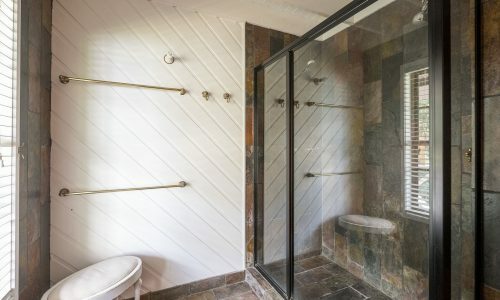 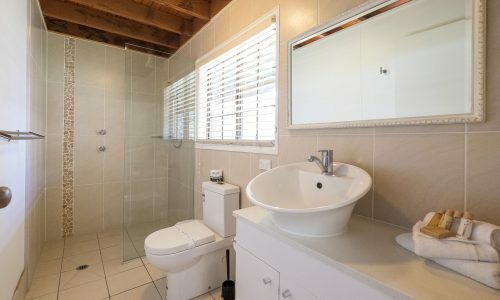 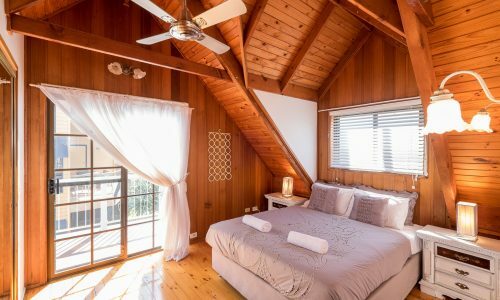 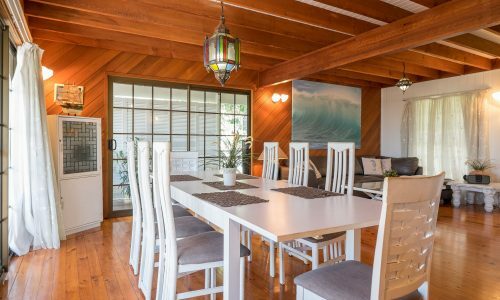 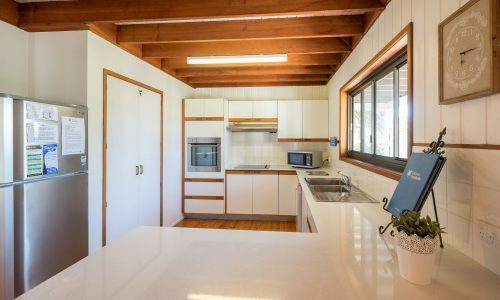 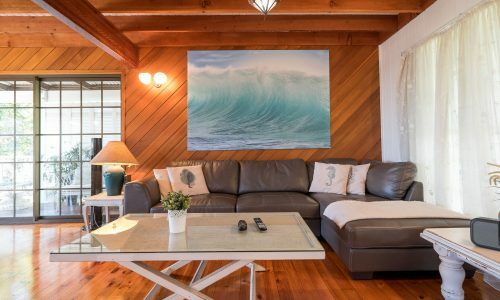 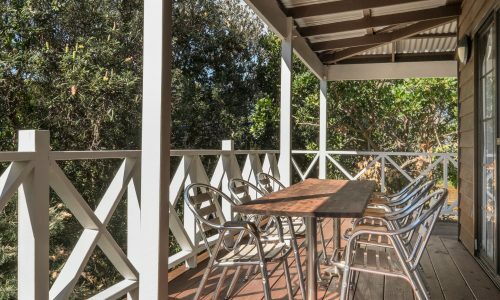 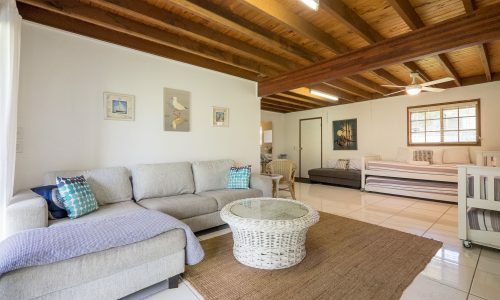 Green Trees beach house, located next to the stunning headland at Point Lookout, has been tastefully renovated making it the perfect holiday home for large families and groups. 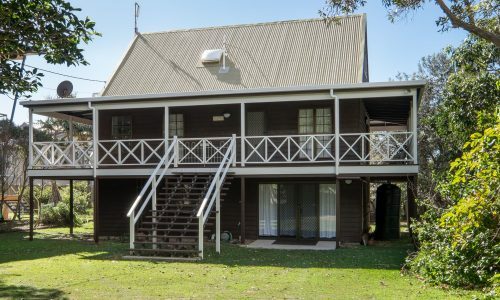 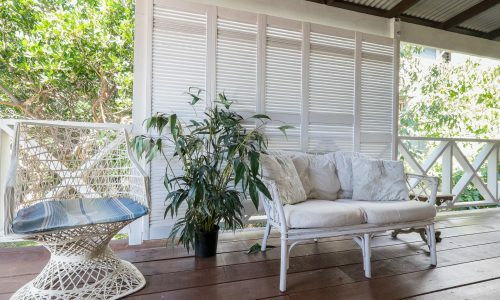 This three level “Queenslander” features a wrap around verandah, coupled with an easily accessible top floor deck with many an hour wiled away watching the stunning easterly ocean view over Frenchman’s Bay and the Coral Sea beyond. 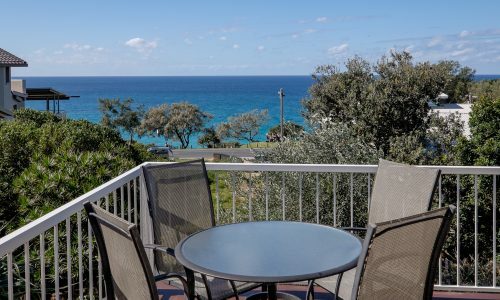 A full moon rising over the ocean is a spectacular couple of hours as the sun sets in the west! 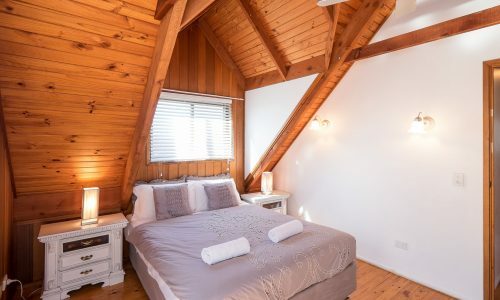 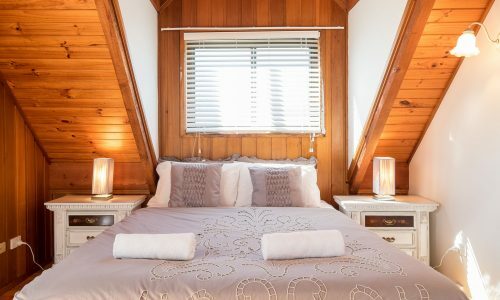 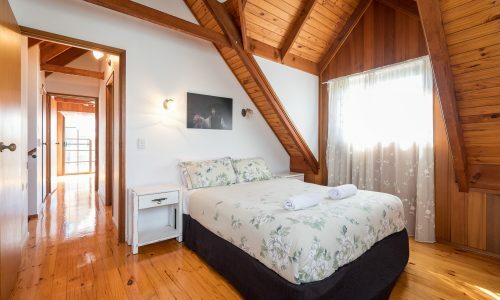 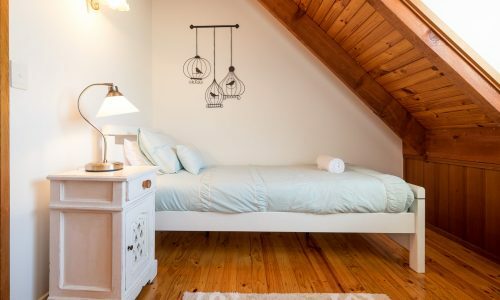 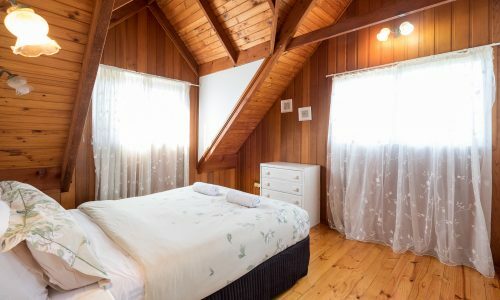 Featuring two queen bedrooms and one single on the upper most level, and a king size bed with 4 singles or up to six singles on the ground floor, Green Trees can comfortably sleep up to 12 people. 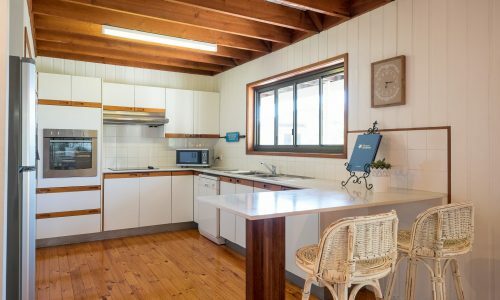 The middle level features polished wooden floors, a granite bench top and a fully equipped kitchen with new electrical appliances and an open plan lounge room. 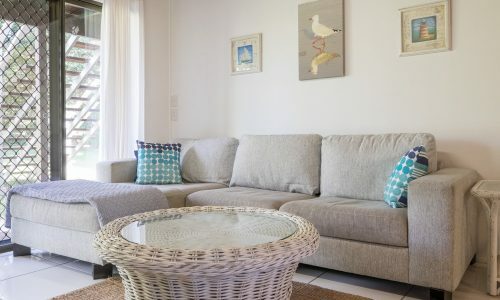 Green Trees also features two separate lounge living areas, both equipped with FOXTEL and HD TV’s. 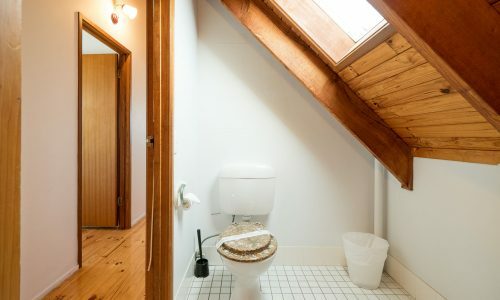 FREE Wi-Fi is also available in the whole house. 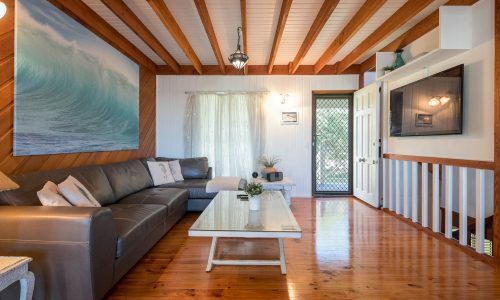 Green Trees has a small fenced outdoor enclosure as well as the gated wrap round deck, and is approved for pets, making it the perfect Stradbroke Island escape for the whole family. 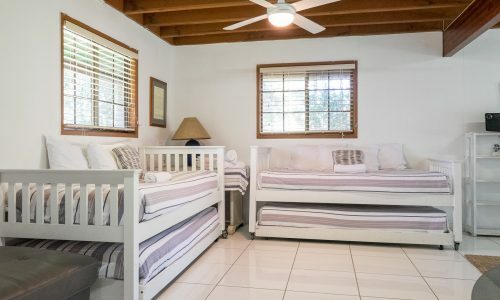 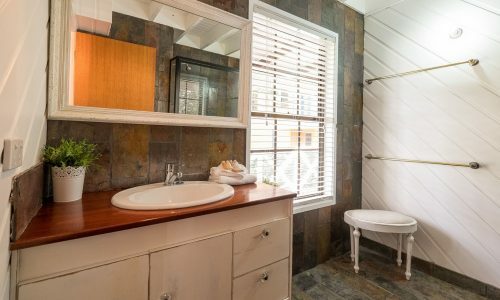 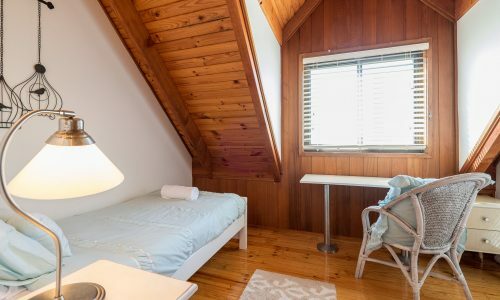 Only a short walk from shops, restaurants and the North Gorge Walk, this property is also an easy walking distance to Main Beach, Frenchmans Beach and South Gorge. 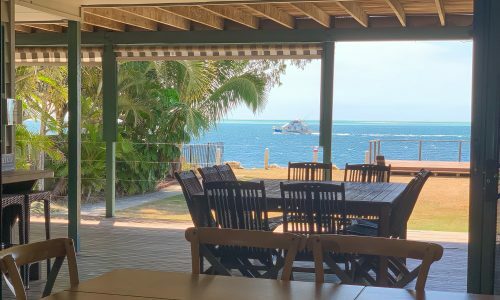 View availabilities below or contact our friendly staff during office hours who will happily assist with any queries, and help you through the booking process. 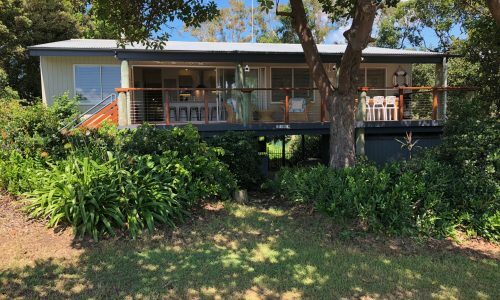 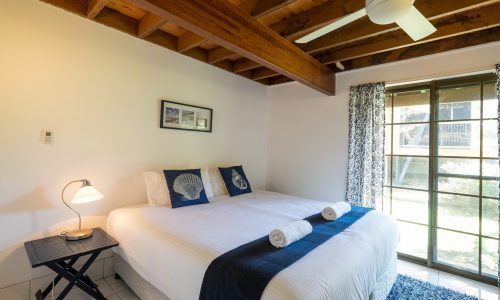 NOTE: Bookings at Green Trees Beach House include a return car ferry at a time of your choice (subject to availability), a $50 cafe voucher for fish and chips, and our premium linen and amenities pack.